Adapting to your needs, a great desk has a positive influence on your daily behaviour. Our partner brand Kinnarps, create desks and tables that add value to your experience by contributing beauty and encouraging motion. Stand up. Sit down. Move around. Let your desk invigorate and inspire you to give be absolute best. Oberon is Kinnarps' new profound table range. Where they have infused their view of good and intelligent design. The tables are just as ergonomic, flexible and functional as they are appealing to the eye. They have a stylish finish based on Scandinavian values. Sleek lines and an appealing choice of materials, shapes and colors. Clean surfaces. And ergonomic advantages. The option to alternate between sitting or standing work. There are desks, meeting tables and coffee tables to choose from. Combine a choice of tops and underframes for the solution that best suits your environment and needs. Desks are an inherent and central part of our working environments. Oberon provides a flexible and practical platform, both in terms of design and functionality. Coffee tables are practical and inviting places to gather round. Oberon’s versions are perfect for active or short standing meetings or breaks. Meetings play an increasingly important role in the workplace. The Oberon meeting table comes in a great variety of sizes, shapes and solutions, always designed with dialogue and brainstorming sessions in mind. Nexus adjusts to suit all sorts of situations. By enabling a dynamic way of working, both individual focus and team collaboration are made easy. 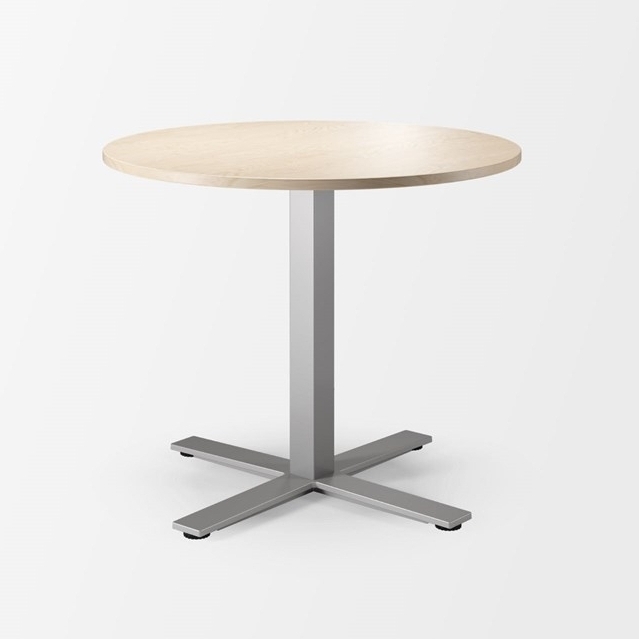 The Nexus table series can easily be customized to suit the user needs. It is a flexible range for different types of situations, ways of working and working environments, and with its unique characteristics is well suited to modern ways of working. The multifaceted thinking behind it means that it is easy to change Nexus from a solution for individual workplaces to an area for project or team meetings. Something which also makes the series suitable for activity-based environments where the same table is used by different people in different kinds of situations during a working day.